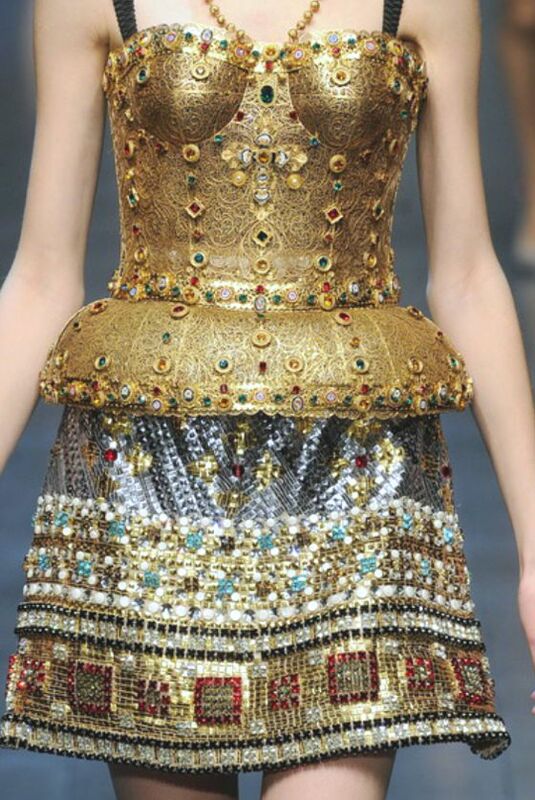 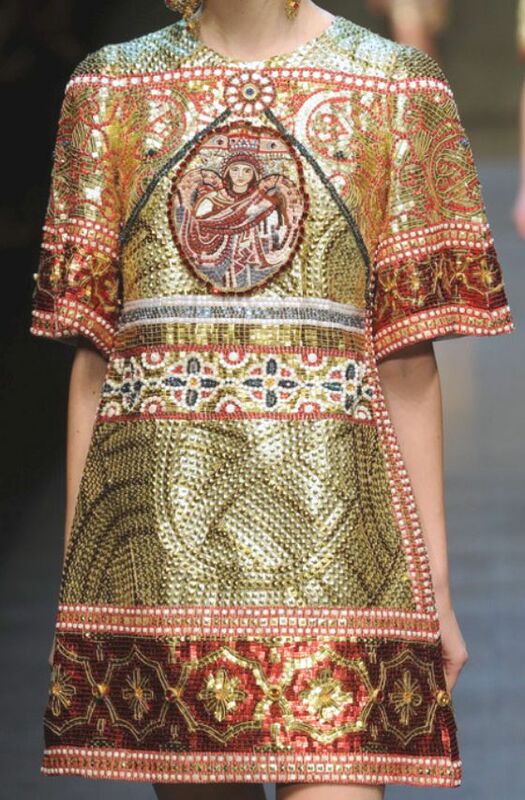 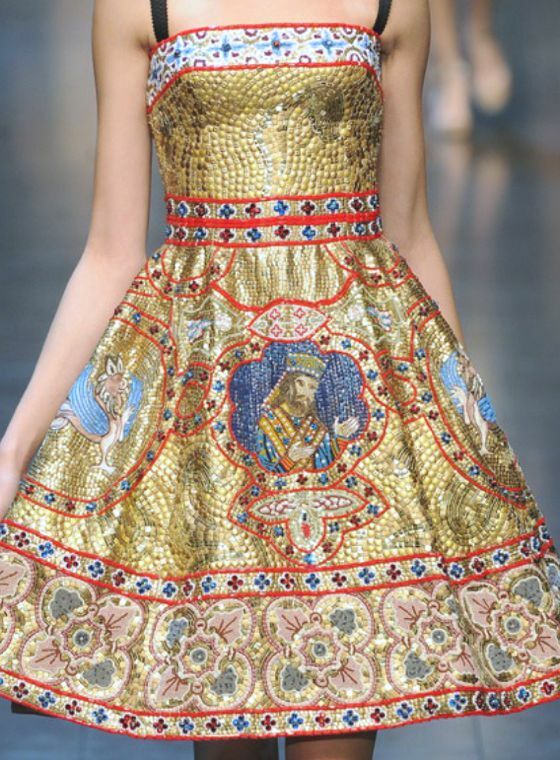 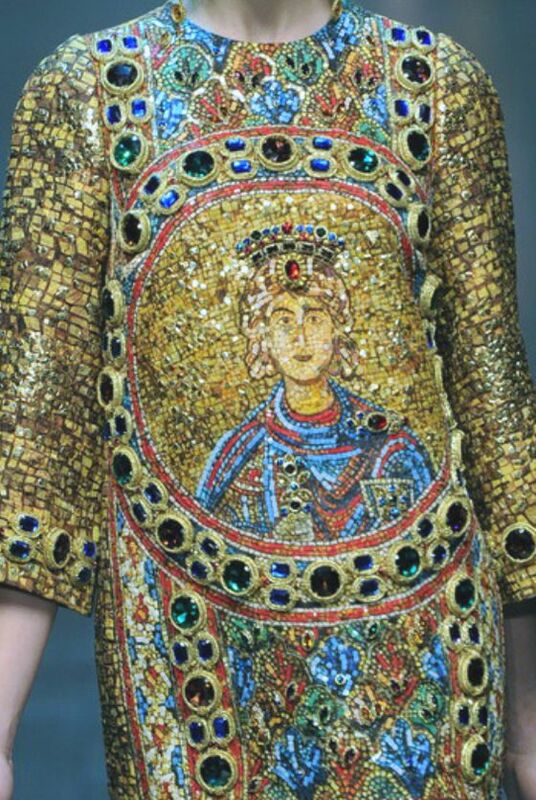 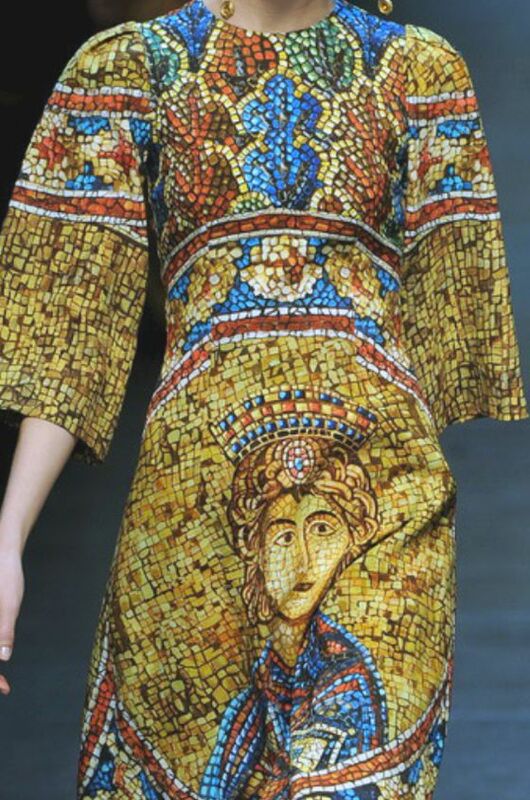 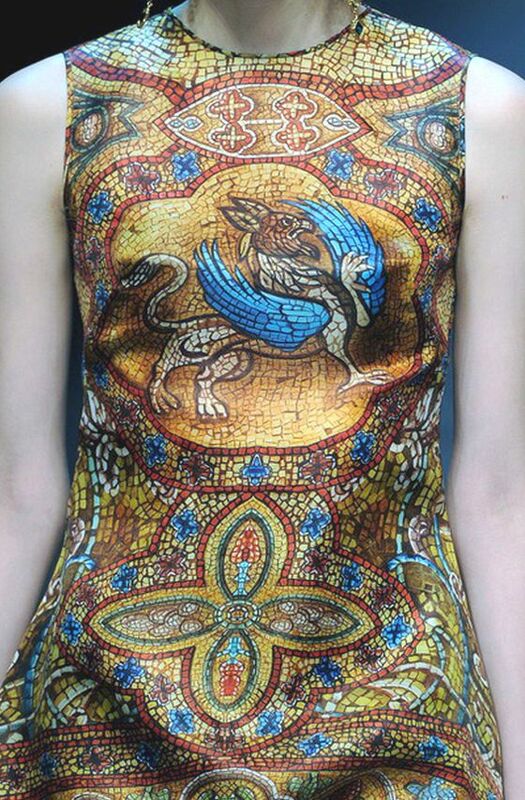 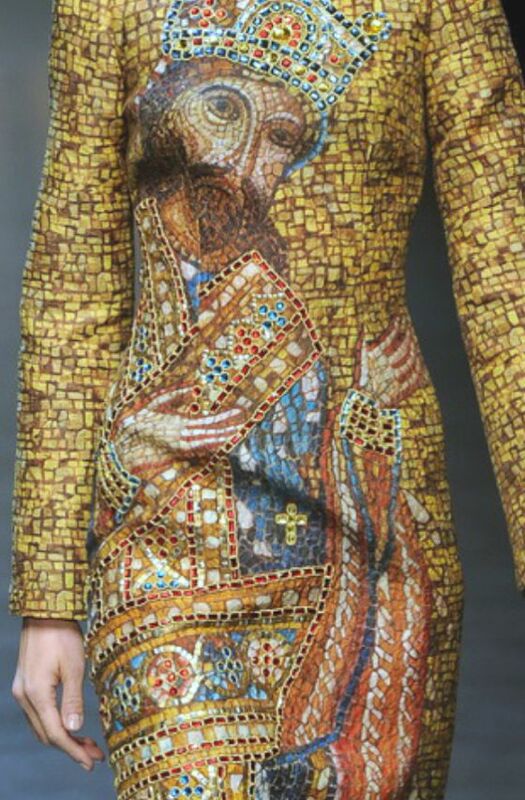 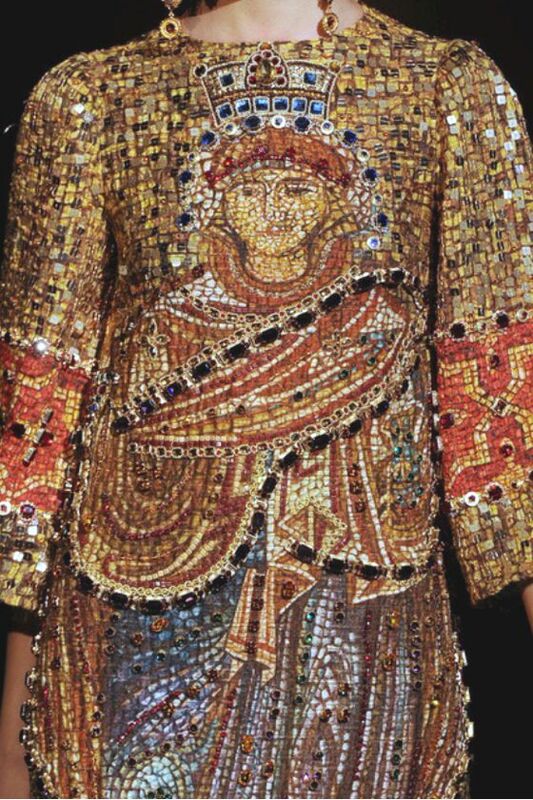 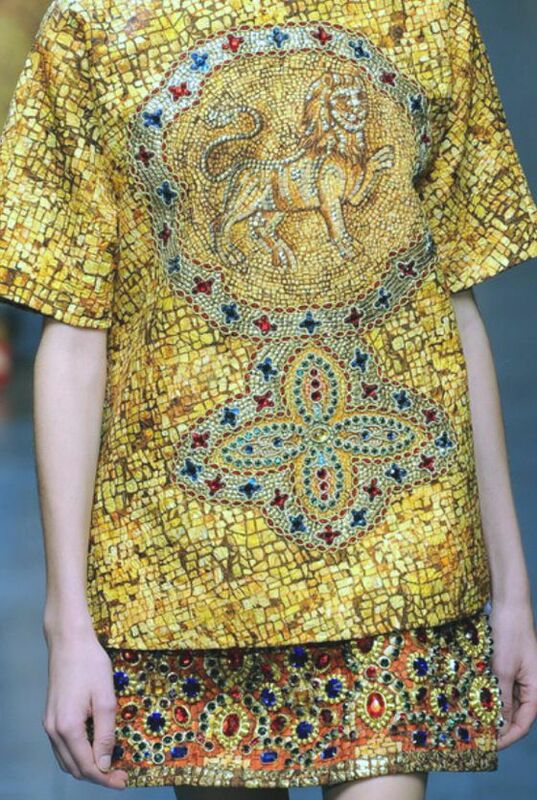 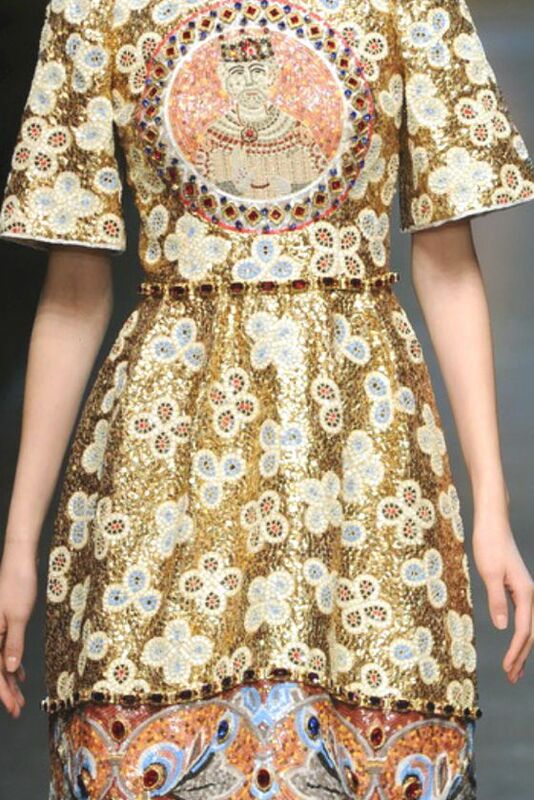 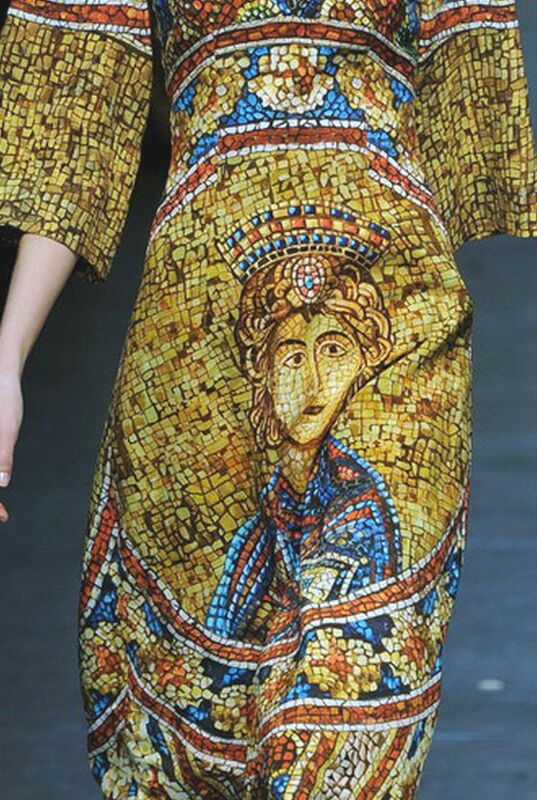 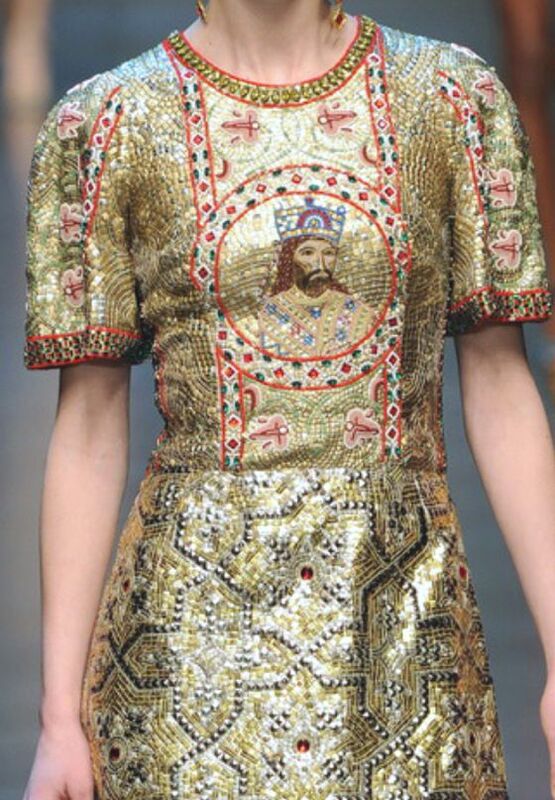 Byzantine mosaics, a perfect mix between art and opulence. 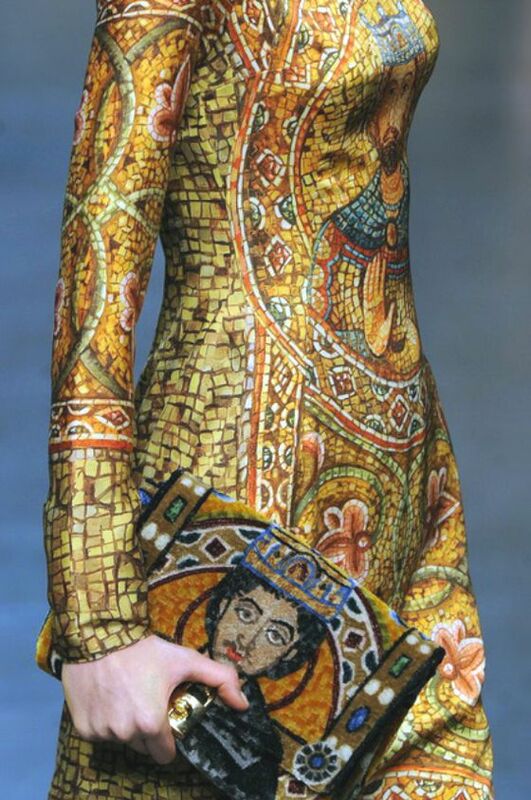 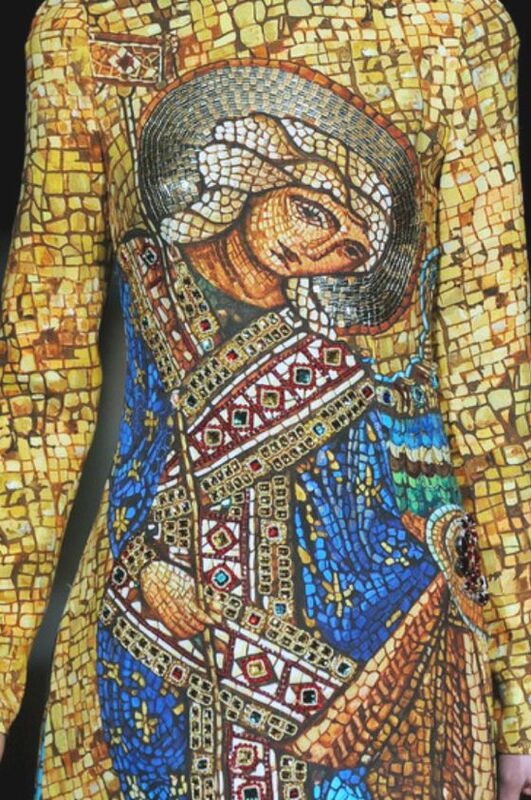 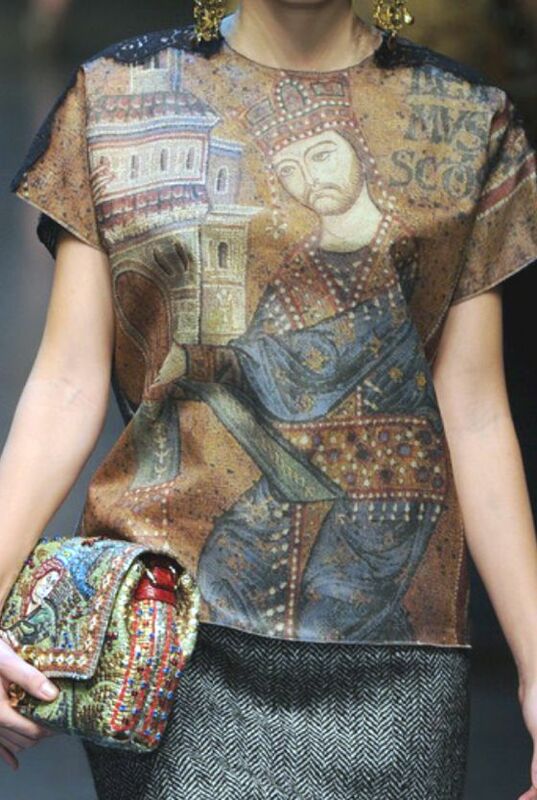 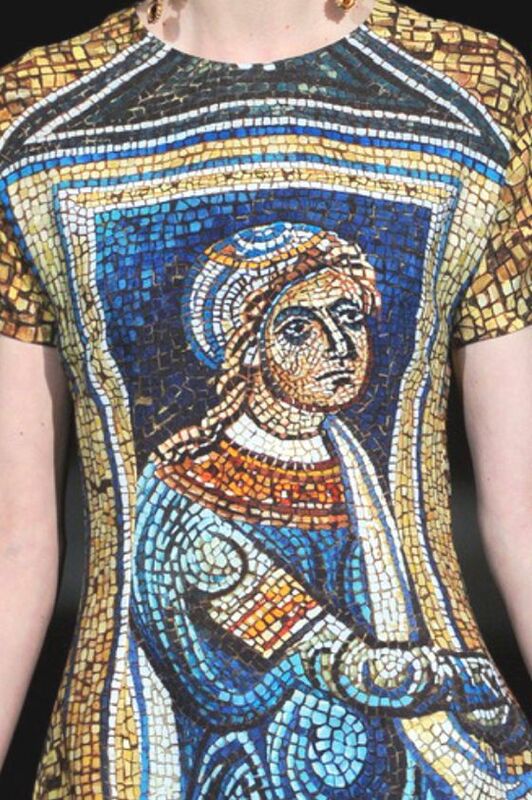 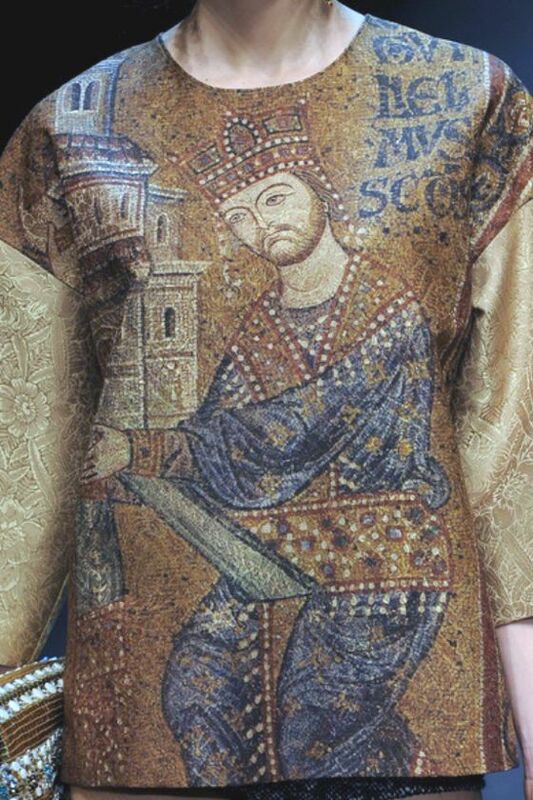 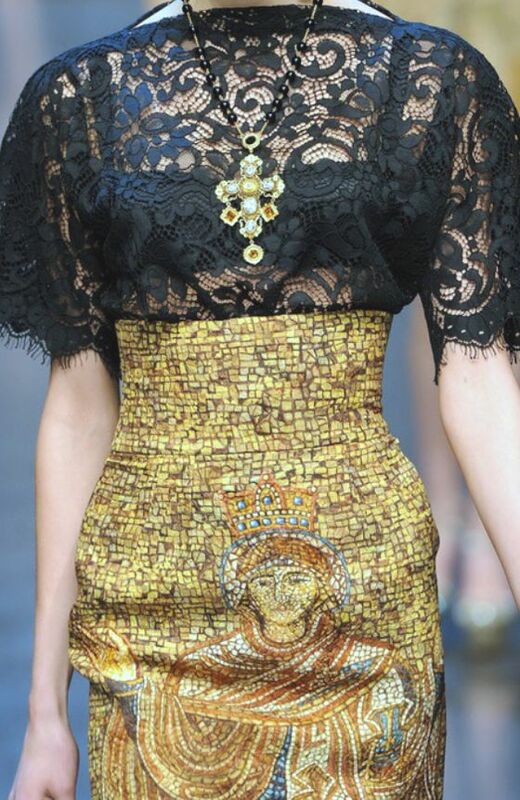 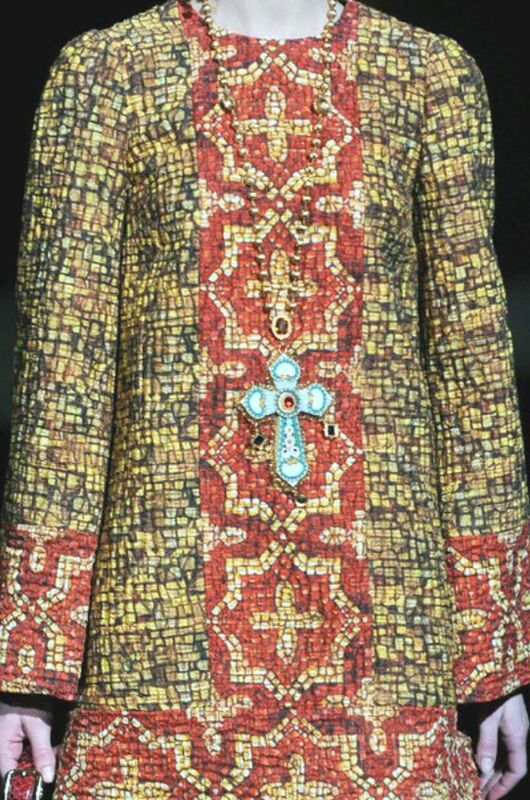 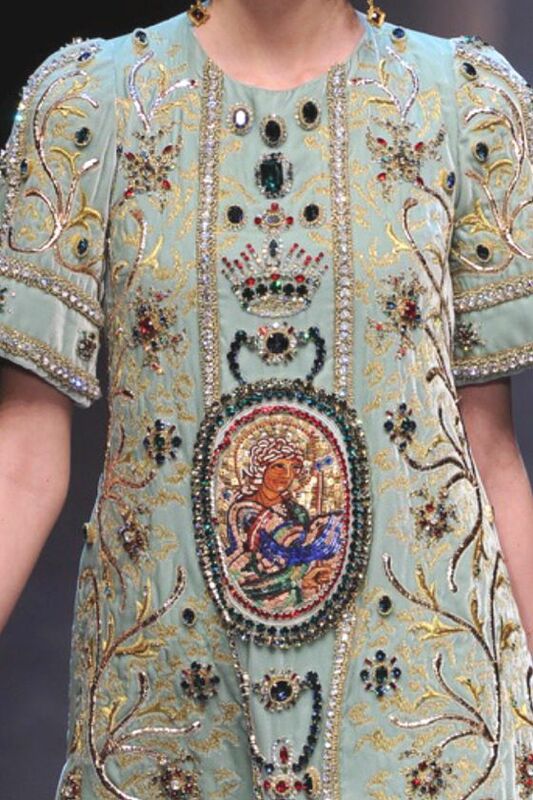 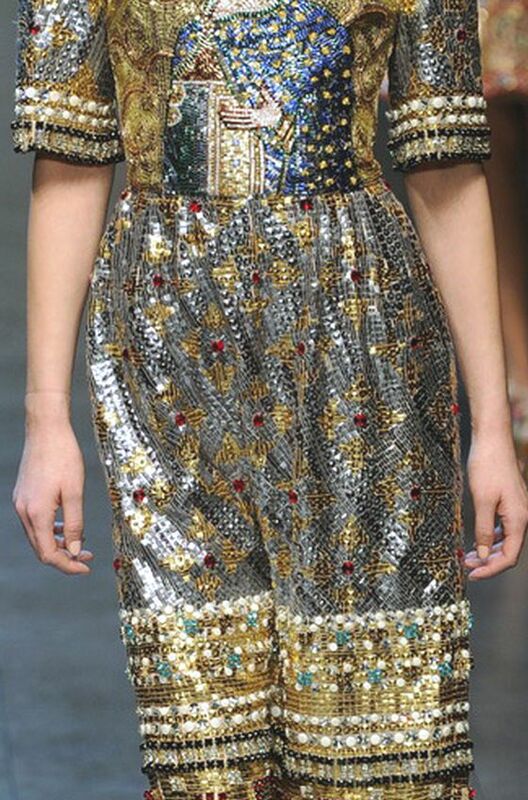 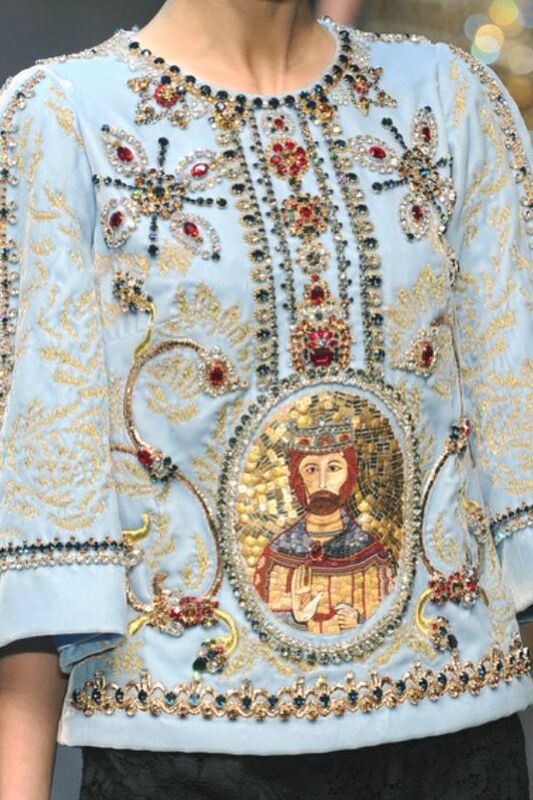 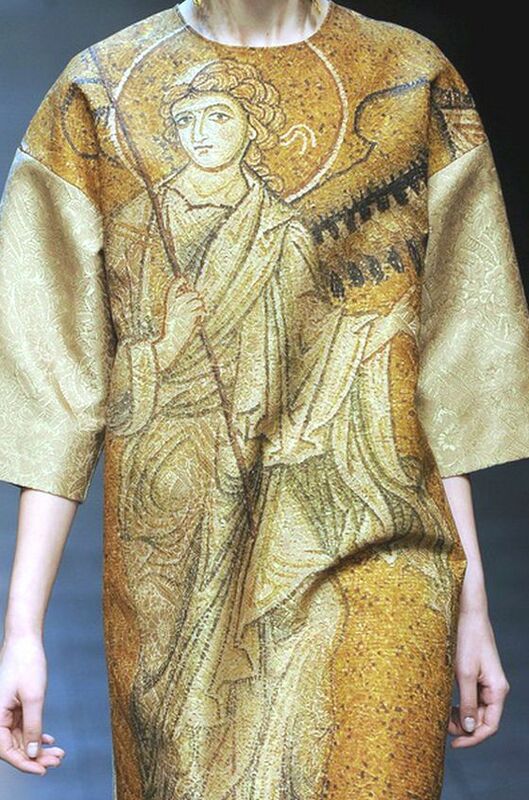 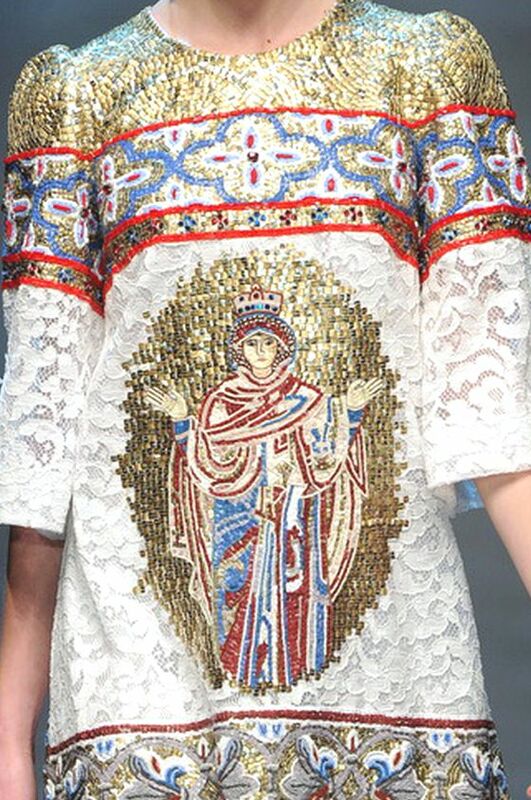 Clothes able to show to the world the beauty of Sicily, as the priceless masterpieces in the Duomo of Monreale and the Palatine Chapel of the Norman Palace in Palermo. 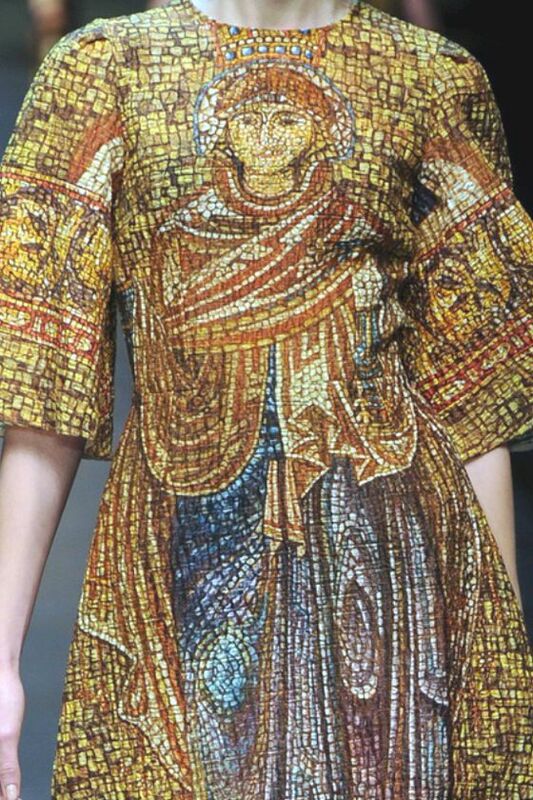 Beautiful embroideries, applications, inlays, these incredible surface effects of mosaics and miniatures, precious, luxurious and breathtaking.